Strobe Security Solutions supplies and installs insulated roller garage doors that are designed for space saving, ease of installation, silent operation and trouble free maintenance. Our doors comply with latest safety regulations and security standards. 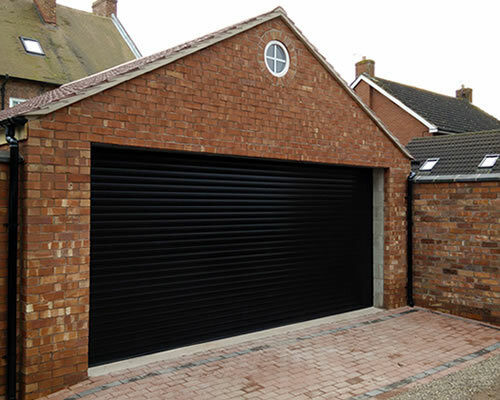 All of our roller garage doors come with strengthened PVC mouldings, heavy duty extruded aluminium bottom slats with a dual formed weather seal, thermal insulated slats, wireless sensor systems, lighting and remote control units with a manual override. The roller doors are available in a wide range of colours and wood effects to suit all applications. Enhanced control options: Keypad entry, mobile phone and network integration. Colour match to any RAL colour or foiled finish. Strobe carries out repairs to a wide range of garage doors including, but not limited to, brands such as: DRS, Aluroll, Novoferm, Garador and Hormann. Covering Conwy County and parts of Denbighshire and Gwynedd in North Wales, we have a lot of experience in repair work so you can trust that your door will be in safe hands.